Radiohead has a new Music Video with ‘Burn the Witch’! 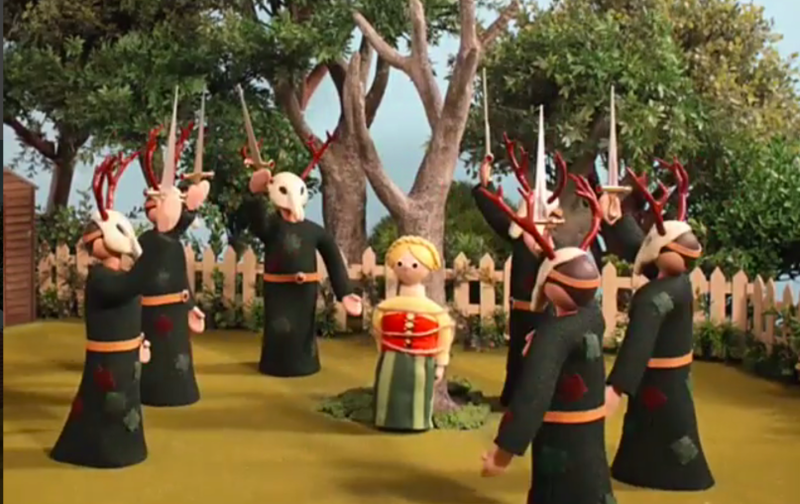 Radiohead has their 9th album coming out soon, and they have just released a very cool stop-motion music video called ‘Burn the Witch‘ on youtube. It sounds damn good. I can’t wait to get my hands on the full album soon. Thus music video is amazing. The song is amazing. It’s all amazing. RADIOHEAD forever! The Rock & Roll Hall of Fame Nominees for 2018 Induction Are….. This entry was posted on Tuesday, May 3rd, 2016 at 12:00 pm	and is filed under Music, News. You can follow any responses to this entry through the RSS 2.0 feed. You can skip to the end and leave a response. Pinging is currently not allowed. « ‘Green Room’ Blu-ray Announced and Detailed!